India is a land of many wonders, blessed with a amazing geography and cultural diversity that is unmatched throughout the region. 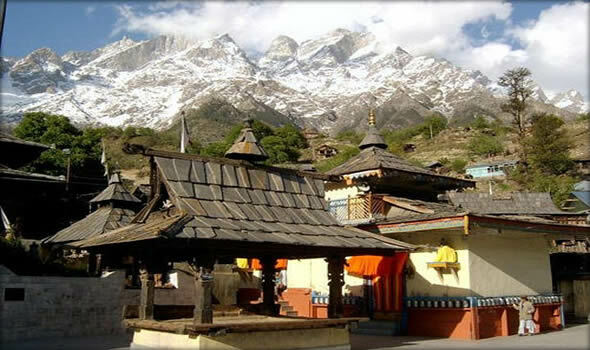 Naturally, one of its main attraction is the Himalayas in the North East. Travelers are able to trek through to the Deccan Plateau and the smaller hills and waterfalls of the South, passing by regions each clad with their own charm of Indian history and culture. Here’s my list of 10 stunning high-altitude destinations in India, ranging from the popular and famous to the unknown, tranquil and serene. This popular ski resort is approximately 492km from Delhi, nestled at an altitude of around 3km above sea level. To reach the snow clad slopes, you treat yourself to a 4km long gondola ride, the longest in Asia. Apart from skiing, Auli also offers other attractions such as the highest man-made lake in the world and a stunning 180 degree view of the Himalayan Peaks. Munsiyari offers breathtaking views of the Himalayas, trekking routes into a never ending horizon, high altitude glacier walks and the whispering of the wind in the God’s own natural amphitheater. 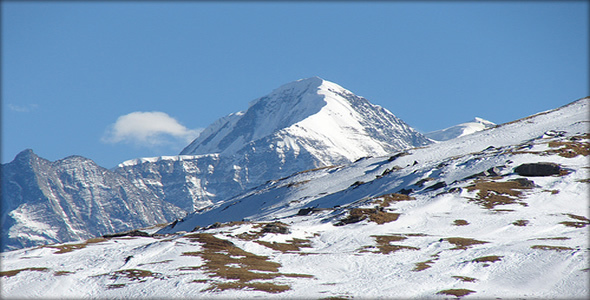 Situated approximately 588km from Delhi, Munsiyari, meaning “place with snow”, stands at an altitude of 2,200m high. It gives you the chance to view some of the most beautiful snow-capped landscape in the region, with the road towards it filled with scintillating scenery. This is popularly considered as the most beautiful Himalayan valleys in India. Surrounded by breathtaking scenery, Sangla is situated on the historically famouse Hindustan-Tibet highway, a charming experience often dubbed, the Swiss Countryside of India. Visitors can enjoy a day out angling on the Baspa River, trekking to Kinner Kailash or pay a visit to the monastery at Rekong Peo. Gangtok, the capital of Sikkim, is a popular haven for tourists, trekkers and mountaineers looking to explore the scenery of Sikkim. There is much to see within a day’s drive from Gangtok, such as the Tsomgo or Changu Lake, the famed Nathu La Pass which connects India to China’s Tibet autonomous region, as well as the valley of Yumthang. There are also numerous trekking routes starting from Gangtok, including the famed Mount Kanchenjunga (third highest in the world) trek and the Dzongri trek. Located between the border of India and Bhutan, Tawang is yet another station boasting stunning views of the Eastern Himalayas. At the heart of this small hill station lies the Tawang Gompa, a Buddhist monastery home to not more than 40 monks. Nearby is the beautiful Sela Lake, pristine and untouched, while trekkers would enjoy a hike to the Sela Top Pass. Igatpuri is a small slepey town in the Western Ghats not far from Mumbai, approximately 138km. During the Monsoons, the landscape transforms into a riot of colors and waterfalls dot every nook and cranny of this valley. It is also home to the Vipasana center, where believers flock to meditate and renew their spirituality. The Tringalwadi Fort is a popular picturesque spot, offering one a wide angle view of the entire valley and the Talegaon Lake. For some of the coolest summer in Southern India, head straight to Araku Valley. Enjoy a picturesque train ride passing through numerous tunnels enroute, before finally reaching the rolling hills and waterfalls of the Araku Valley. The Borra Caves, 35km from Araku Valley, dates back to a million years back and are pure stalactite and stalagmite formations that tells a story from a different era. Spread over 640 square km of virgin forests, streams and cascading waterfalls, the Nagarhole National Park is home to the mystical Irupu Falls (also known as Lakshmana Tirtha Falls). This stunning waterfall cascades down and takes a plunge of 170ft! 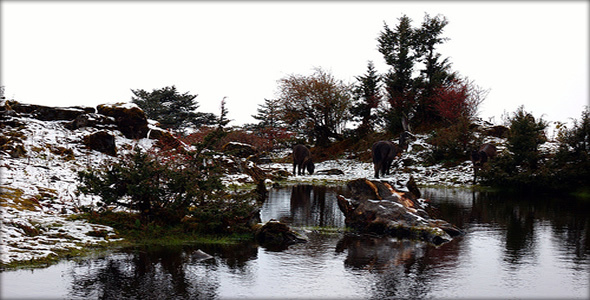 The park is a haven of flora and fauna, and you can find wild elephants, leopards, spotted dear and Gaur, among others. It is also an excellent place for bird-watching. When you travel to the land of Gods, what would you expect? Naturally, stunning scenic beauty fit for the Gods, exactly the type Kerala offers. Lakkidi, often referred to as the Tarzan territory, is the highest point in the Wayanad region of Kerala. It’s a forest canopy so dense that you can barely see the sky, where you can truly walk through the wilderness. Here, you can experience treetop living and walking 100 feet above the ground to get from one tree to another. Bellikal is a picturesque village situated on the Nilgiri Montains, with the famed Mudumalai forest on one end and the Sigur Plateau on the other. 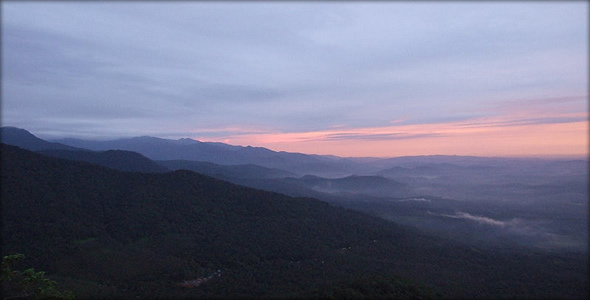 It is a place of isolation and tranquility, 5,500 ft above sea level. A trekker’s paradise, there are various trails here leading to various attractions such as the Kalhatti Falls, as well as the Bison valley, where you can spy on these amazing beasts. The biggest attraction here however, is the Kurinji Bush, which blooms only once every 12 years! Enjoyed the article? Would appreciate your help in promoting our content, be it through StumbleUpon, Facebook, Twitter, or other social media of choice. Additionally, you may also want to check out our latest offering, a download-able travel magazine!